India's startup world has a new No. 2 and its cab hailing platform Ola. According to documents filed with the Corporate Affairs Ministry, on January 9 the startup has raised Rs 520.79 crore from Steadview Capital Mauritius, an alternative asset management firm and an existing investor in the company. This infusion, a part of its Series J round, reportedly values India's largest ride-hailing app at between $5.5 billion and $6 billion. That's a jump of around 29% - at a conservative estimate - in less than four months after Ola raised $50 million at a valuation of $4.3 billion from Hong Kong-based Sailing Capital and the China-Eurasian Economic Cooperation Fund (CEECF) last September. Significantly, the latest funding round has helped Ola overtake OYO Hotels & Homes. The five-year-old Gurugram-based hotel chain was valued at $5 billion in its last funding round in September, when it raised $800 million from Japanese telecom major Softbank and entered the unicorn club. After US-based Walmart acquired Flipkart last year, Paytm moved to the top of the desi startup rankings in terms of valuations. 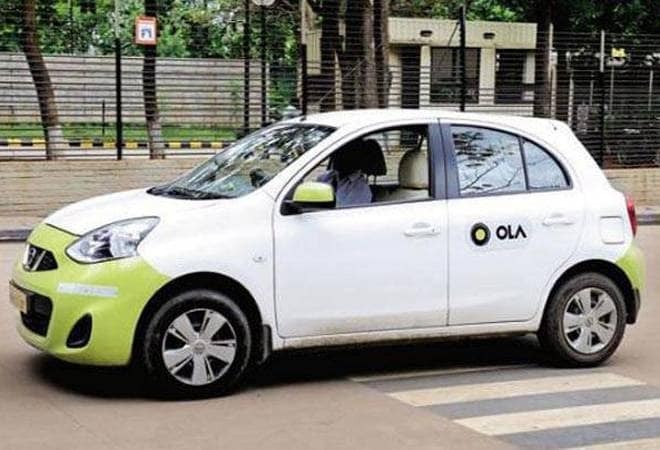 The Bangalore-headquartered Ola, locked in a bruising battle for market leadership with US-based rival Uber not only in India but also markets like Australia, New Zealand and the UK, has seen growth dip sharply over the past two years, although both companies saw their absolute number of daily rides go up in the same time frame. Indeed, Ola continues to strive to become profitable in the taxi aggregation business. According to regulatory documents, ANI Technologies, which operates Ola, saw its consolidated total income rising over 70% year-on-year to Rs 1,380.7 crore in FY17 but its losses also widened from Rs 3,147.9 crore to Rs 4,897.8 crore in the same period. The slowing growth curve along with supply constraints courtesy falling driver incomes - which has resulted in frequent strikes by drivers -have pushed the company to expand into new areas like food delivery and pharma retail. Last month, Ola also announced investing $100 million in Vogo, a scooter-sharing platform, to help build a smart multi-modal network for first-last mile connectivity in the country. But last year saw things looking up for Ola. According to media reports, it started making money on each cab ride after taking into account expenses such as driver incentives and customer discounts. No wonder investor interest is at an all-time high. The company, founded in 2011 by Bhavish Aggarwal and Ankit Bhati, has reportedly raised close to $4 billion to date. Moreover, multiple sources told PTI last month that the cab aggregator has received interest from several investors, including existing shareholder SoftBank and Flipkart co-founder Sachin Bansal, to pump in funds totalling around $800 million to $1 billion.